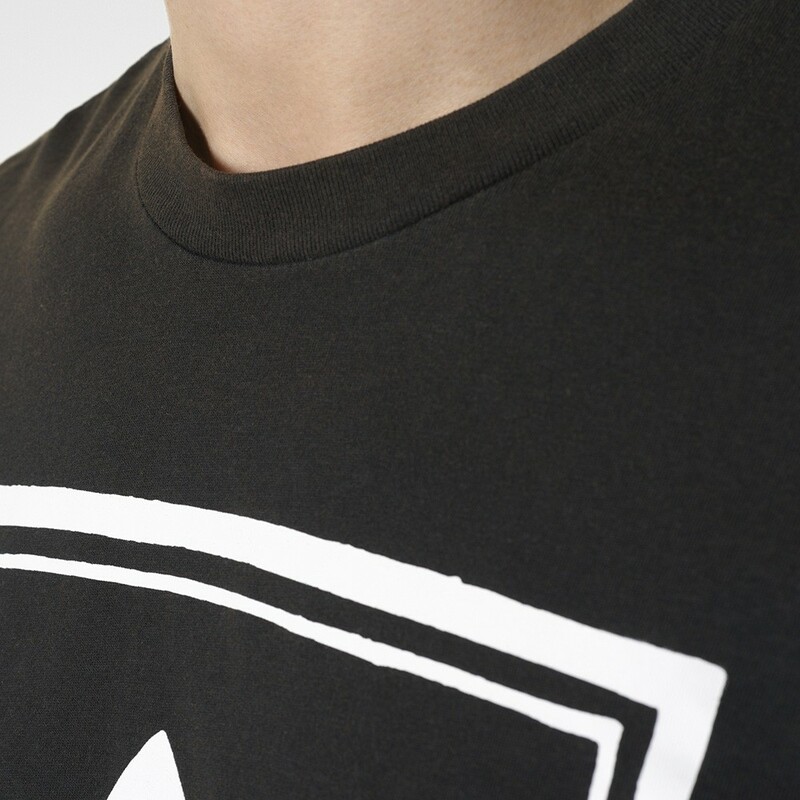 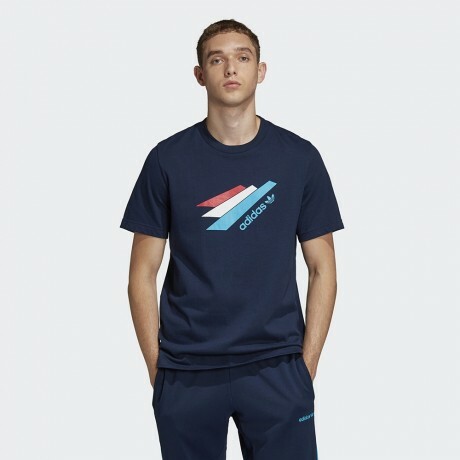 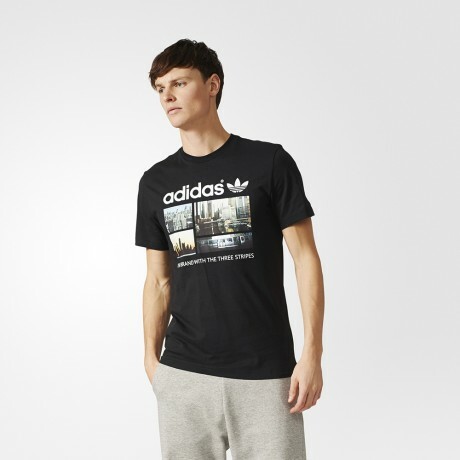 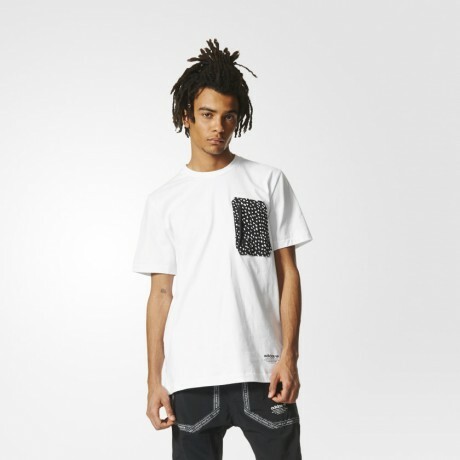 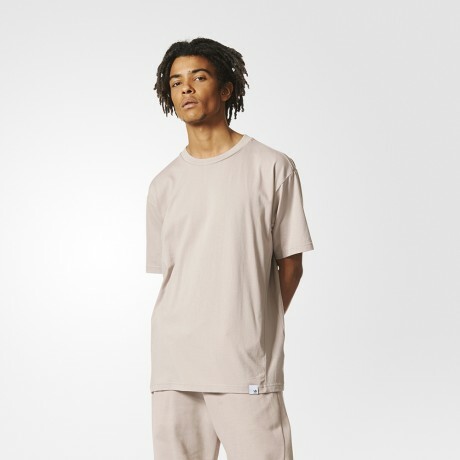 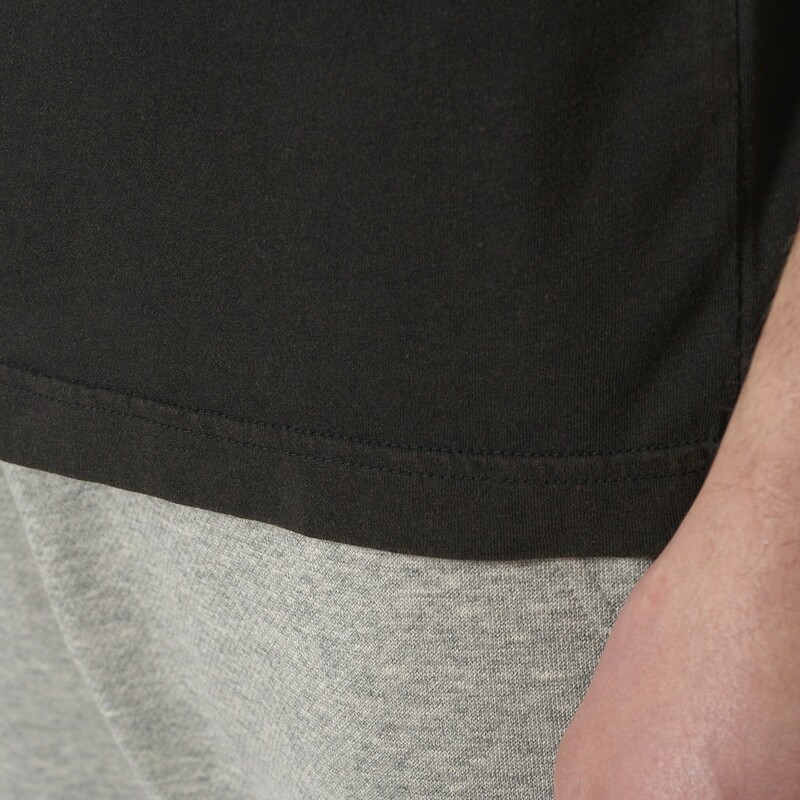 Archive-inspired graphics mix with a fresh twist on this men's t-shirt. 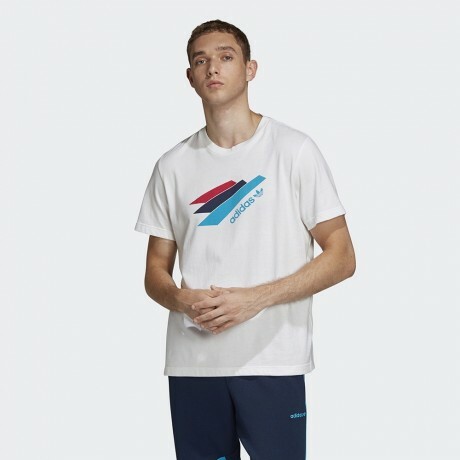 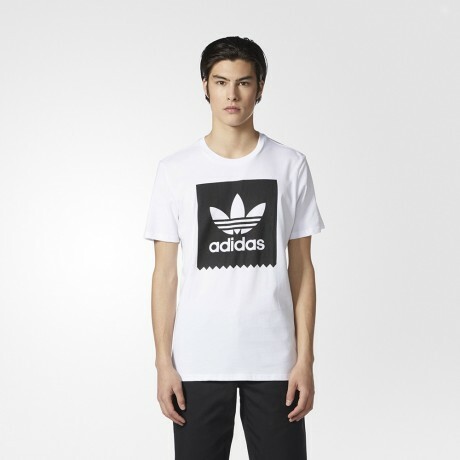 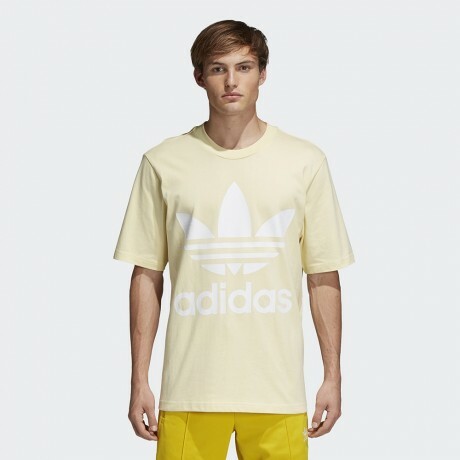 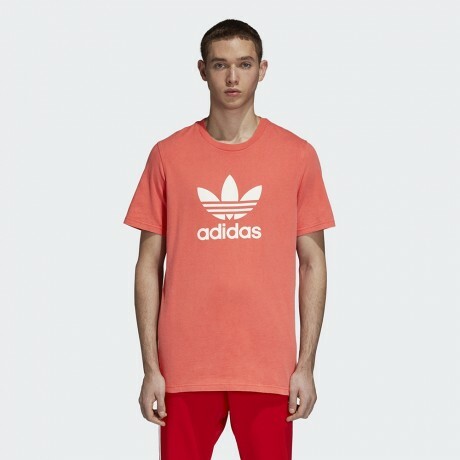 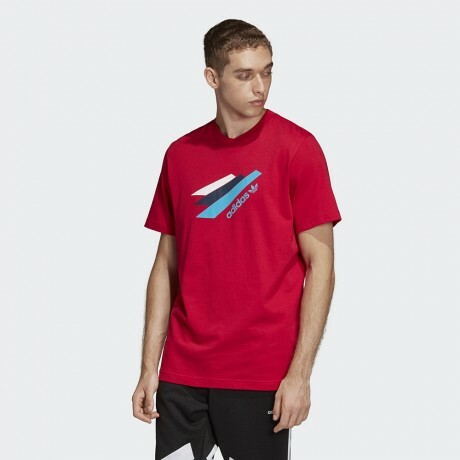 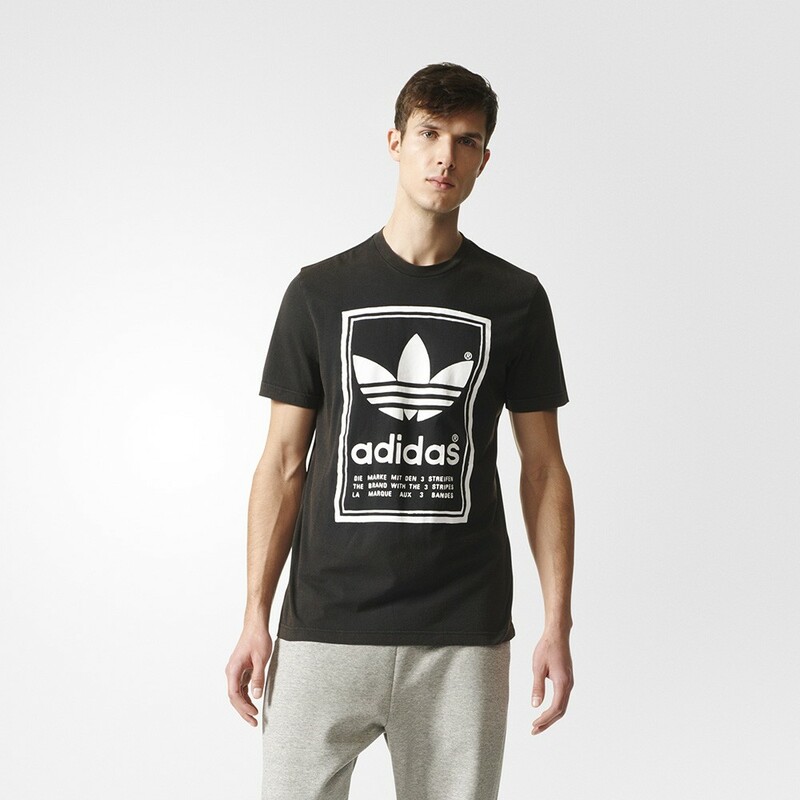 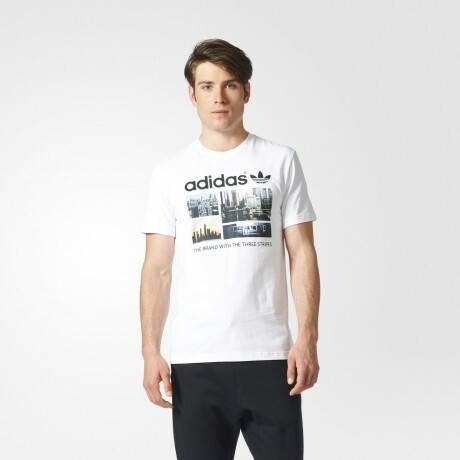 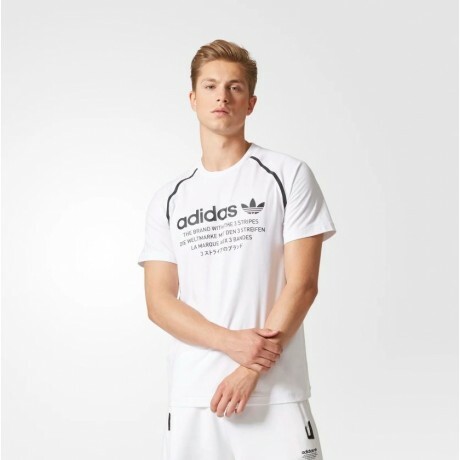 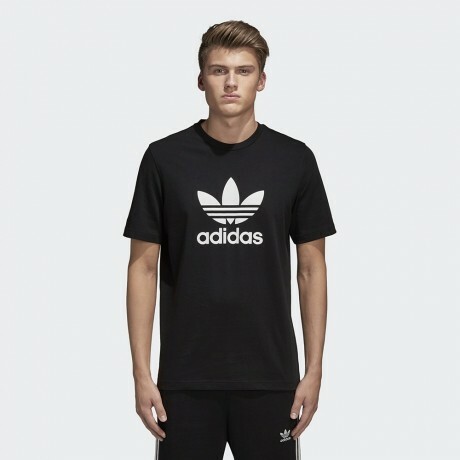 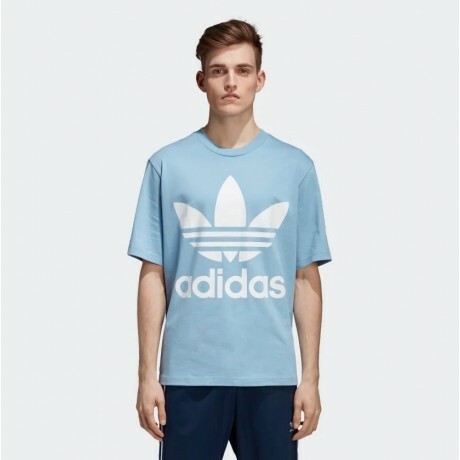 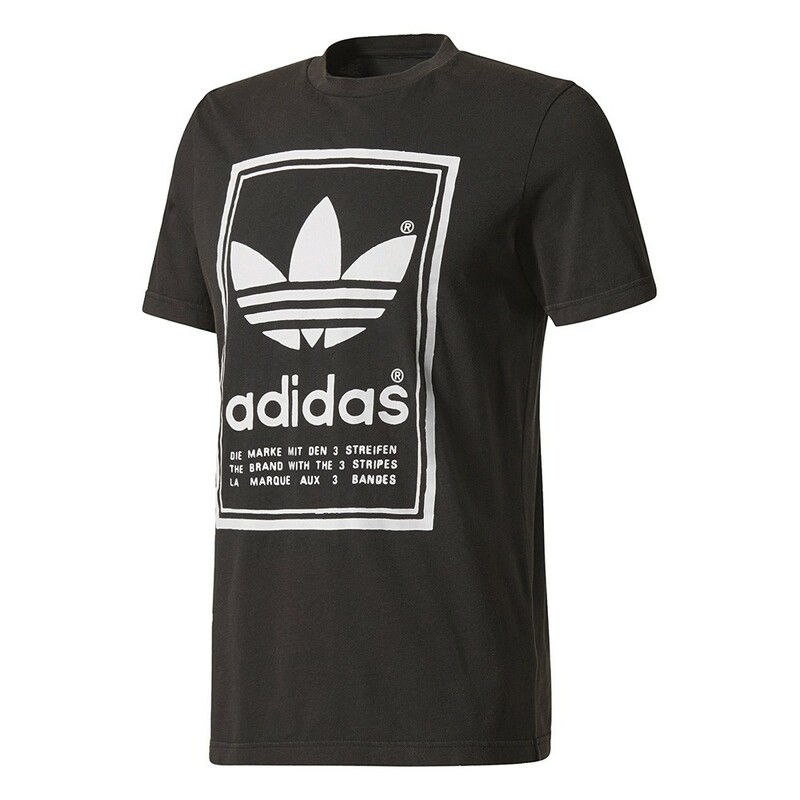 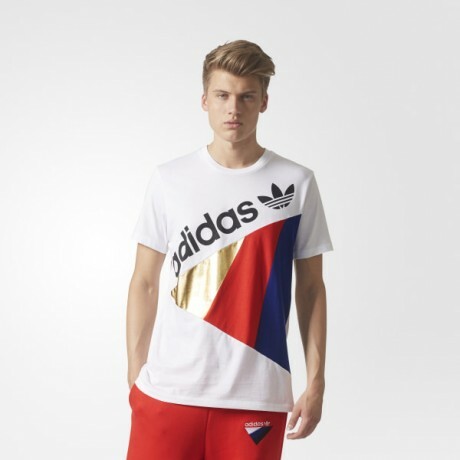 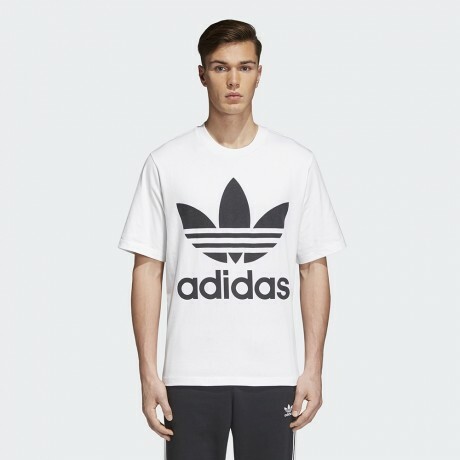 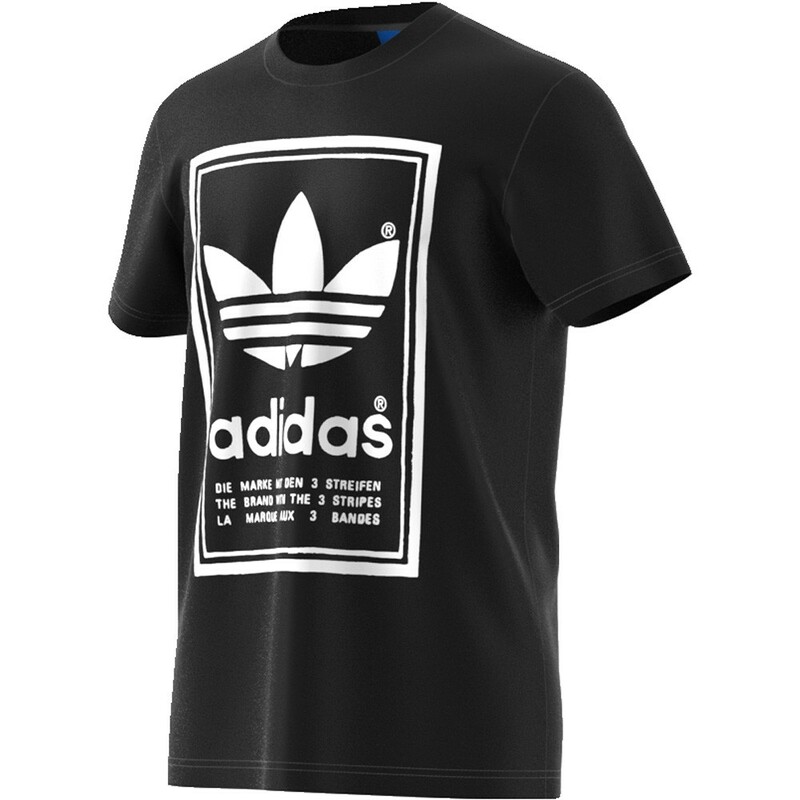 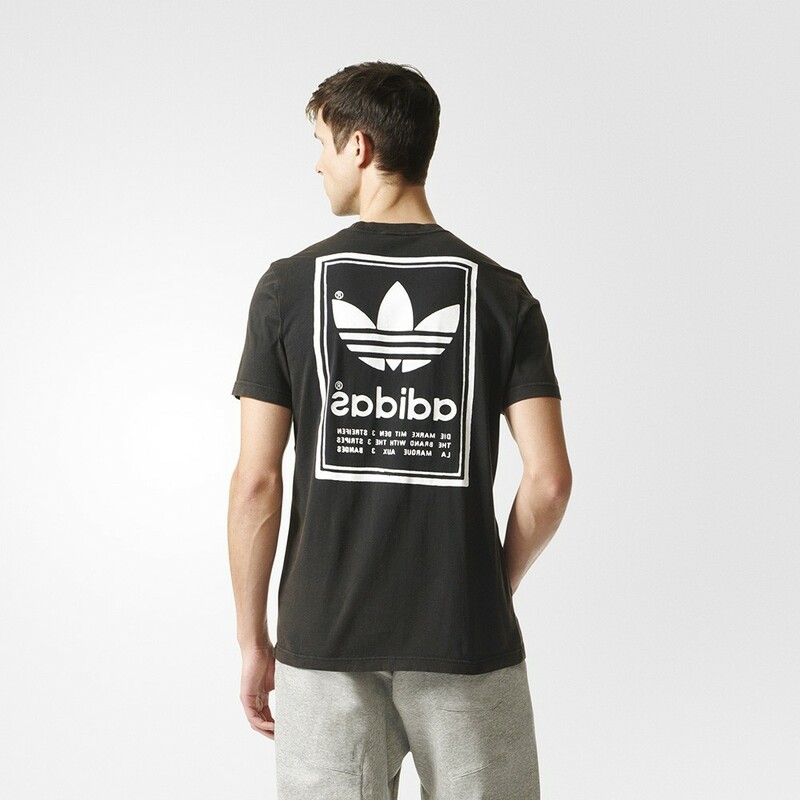 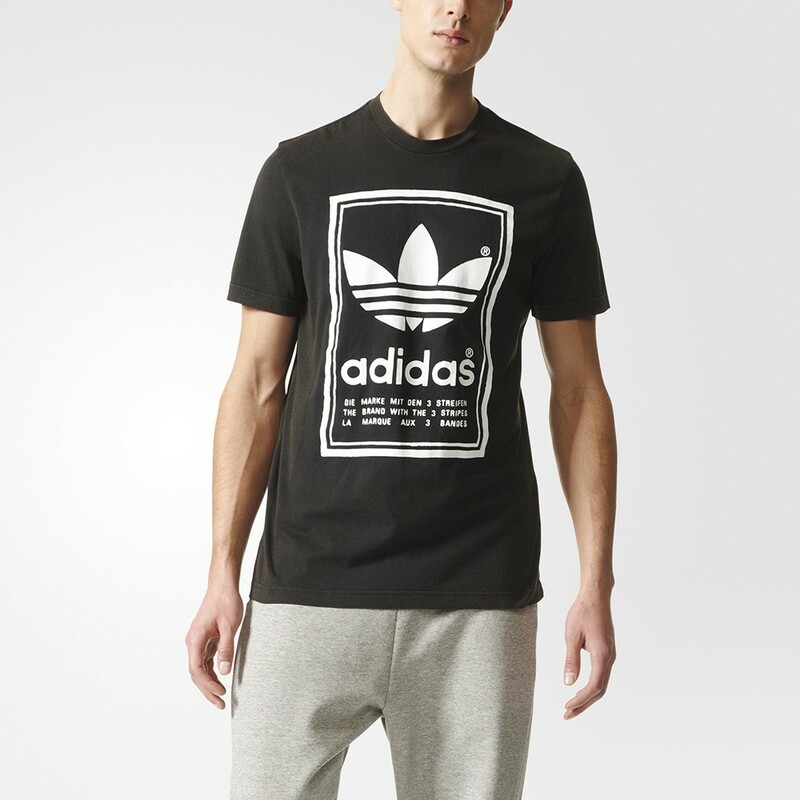 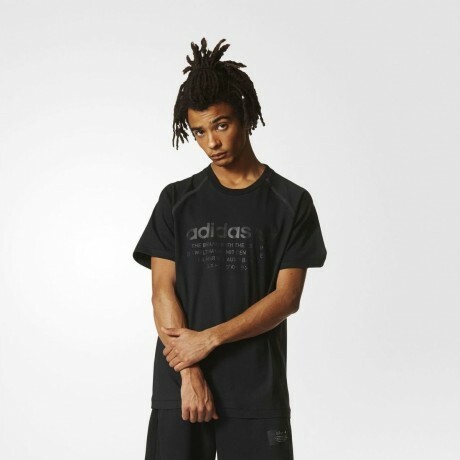 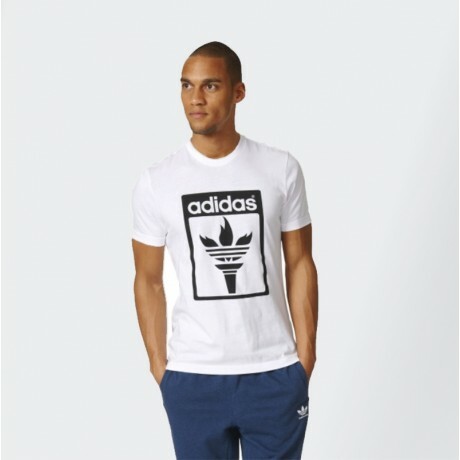 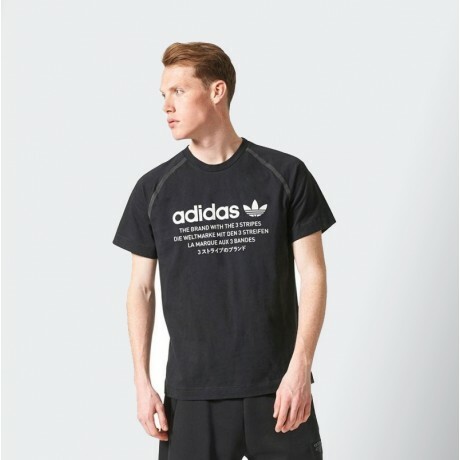 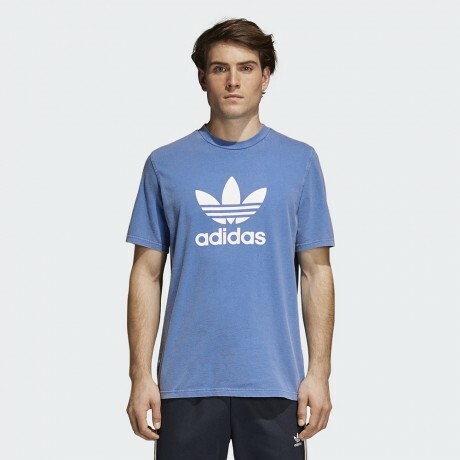 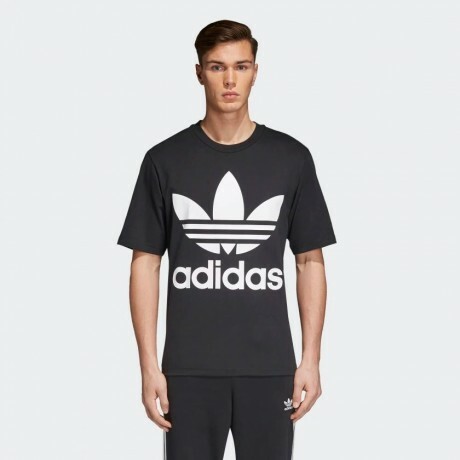 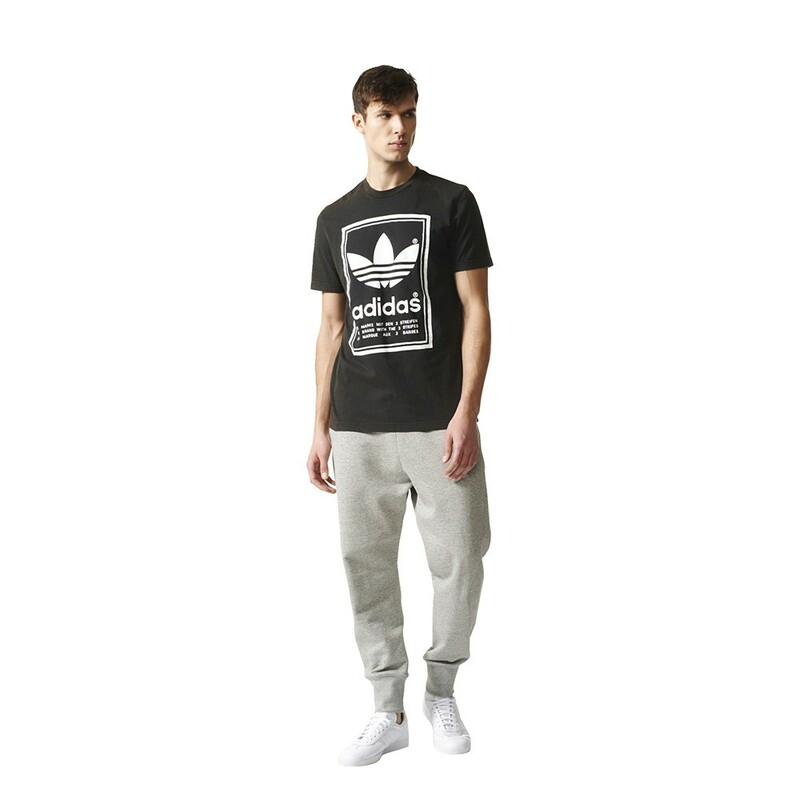 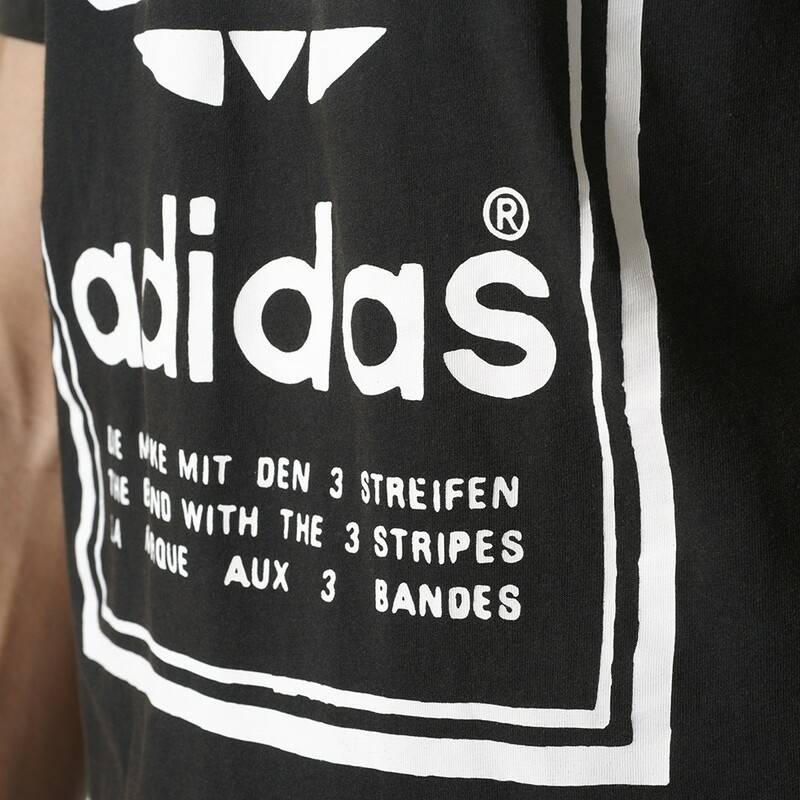 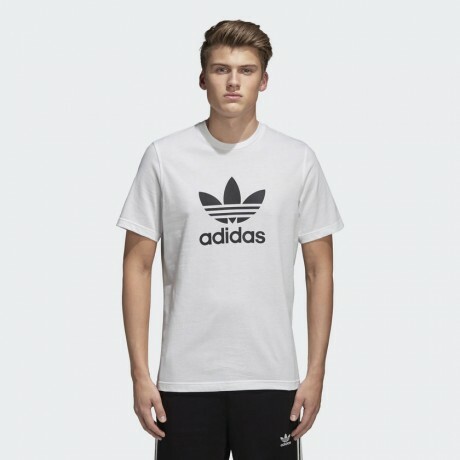 A large Trefoil logo on the front features "The brand with the 3 Stripes" printed in three languages. 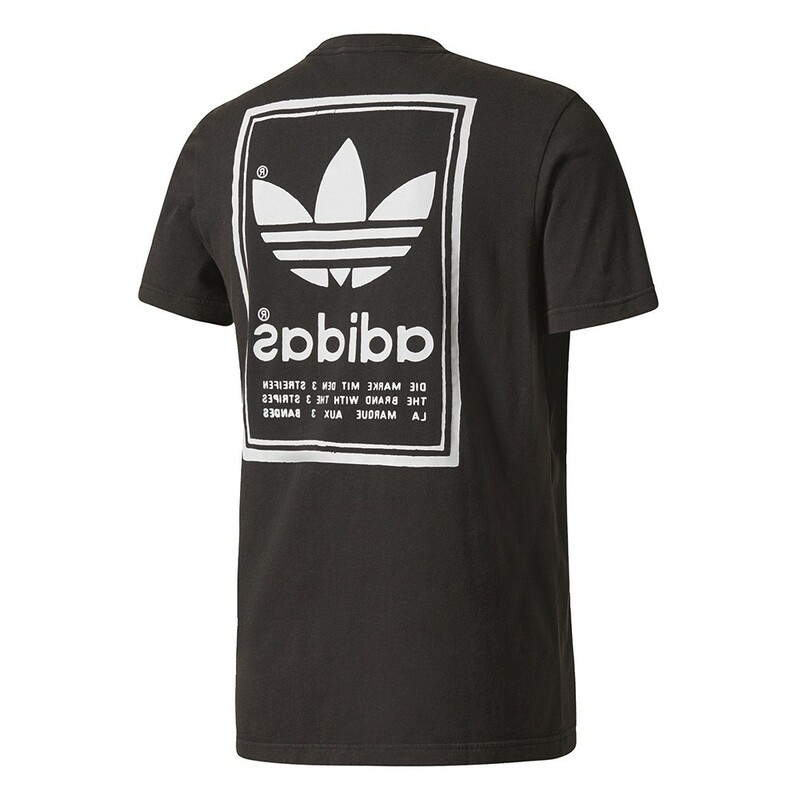 On the back, a mirrored image of the graphic makes it an edgy streetwear must-have.